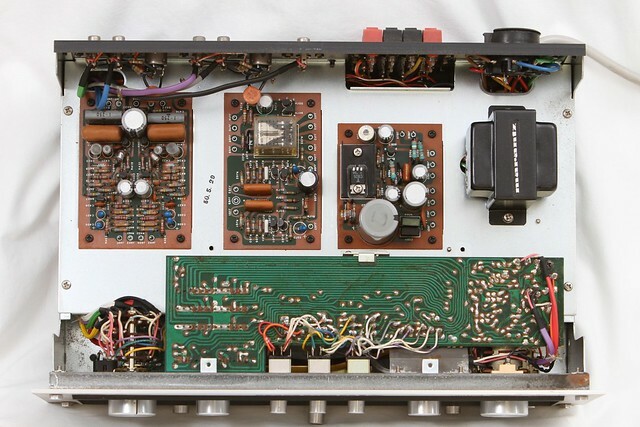 An adventure into the wonderful world of vintage audio restoration and collecting. I was lucky enough to grab this one on eBay after being listed for only five minutes. 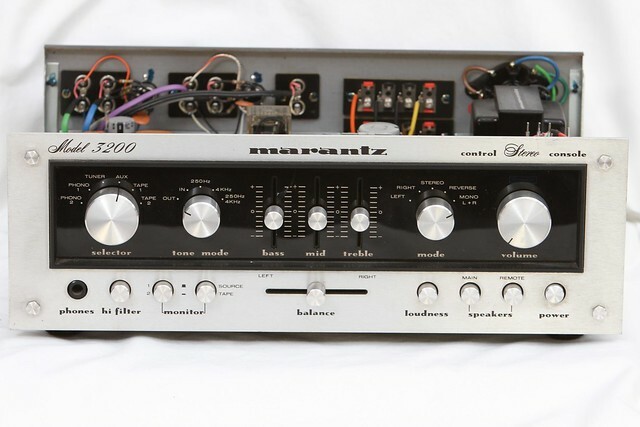 The seller was selling it as an "as is amplifier" but I knew immediately what it was and I wanted it. 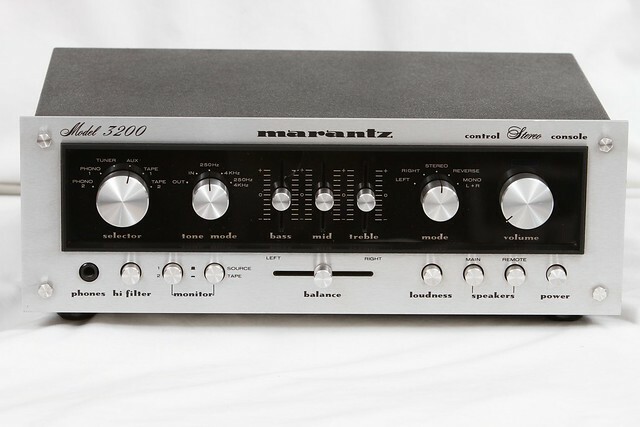 Although for the time being it will be partnered with my lonely Model 32 Power Amplifier and 2110 Scope Tuner, this was originally meant to compliment the Marantz 140 Power Amplifier. I'm pretty sure that I was the first person to ever open this unit up. Mint would be an understatement of the condition inside the unit. The advantage being that because of the minimal power draw (11w) the cover does not have any vent holes. Even the frame was still shining. No dust whatsoever. 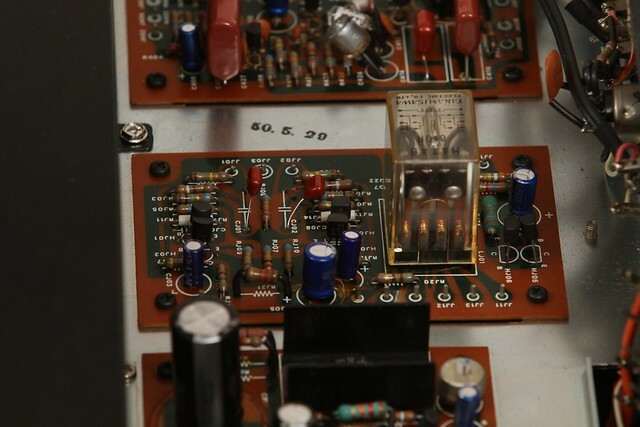 The capacitors would have to be replaced. 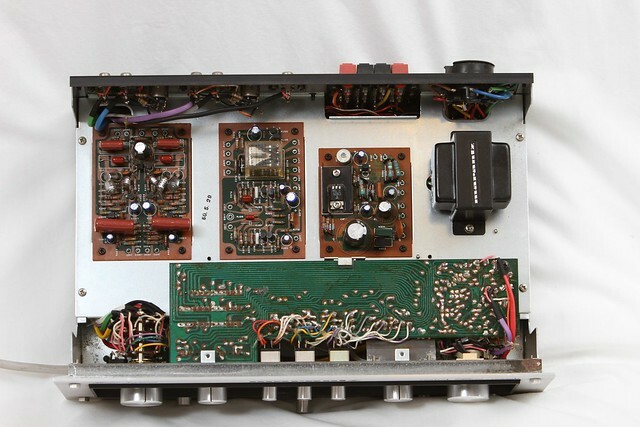 The plan was to replace all electrolytic, film and tantalum capacitors. 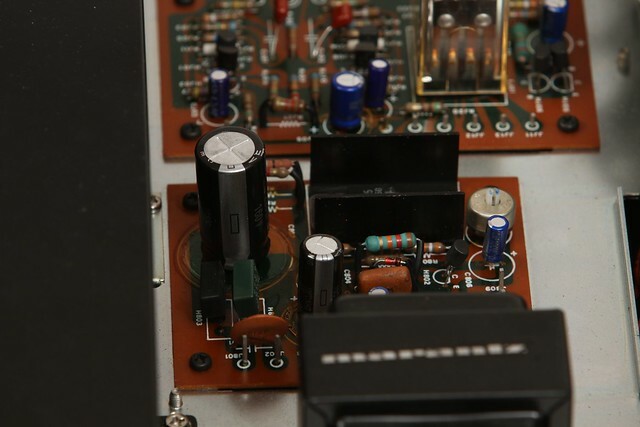 The Tantalum ones were to be replaced with either film or bipolar electrolytic with preference to film where possible. There was not much else that had to be done with this unit, it was in exceptional condition. 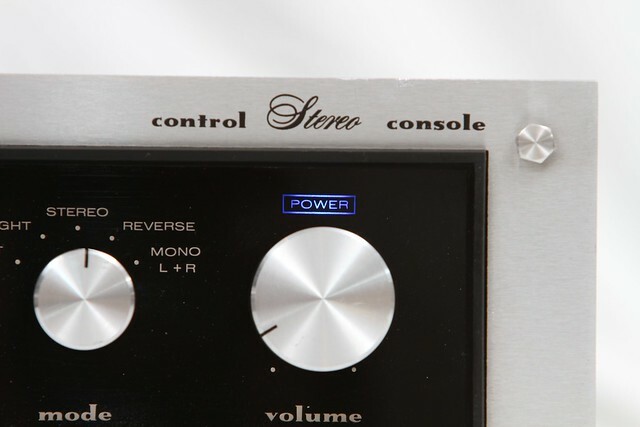 The only real flaw was there is an impact crack on the front bezel right between the bass/mid/treble slides. Sadly other than a replacement faceplate I don't think this can be fixed. But luckily it's hardly noticeable. Even with a thorough faceplate cleanup the difference is not that much. 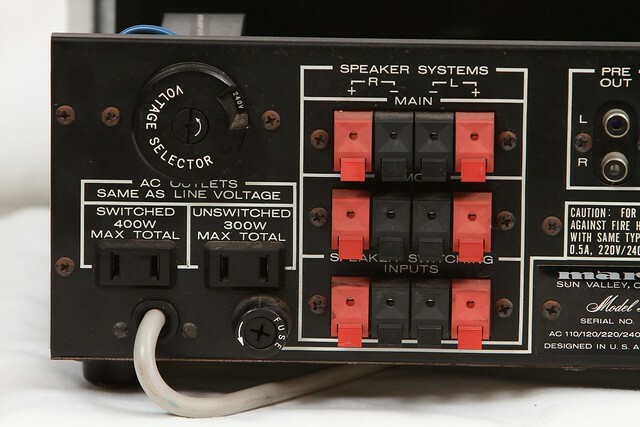 The only modification that was done to this unit was the power indicator. Previously using an incandescent light bulb against some blue mica film, I replaced this with a blue LED to give it it's original intended look. 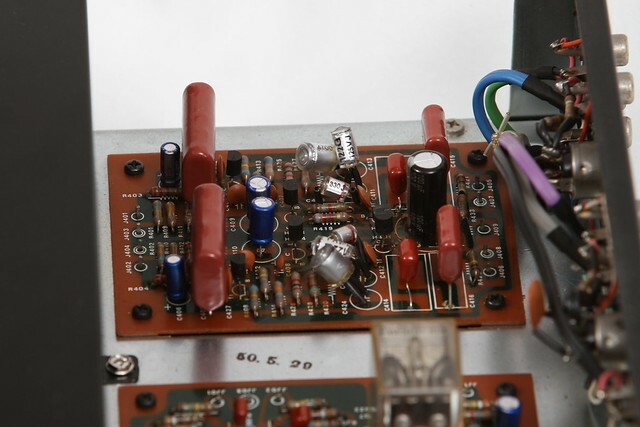 The power source for the bulb was 8.5v AC so in order to use the LED an inline circuit was made with a bridge rectifier and resistor to bring the voltage down. The results are much better than the photo below, in reality it's more of a royal blue with a nice even tone. However my SLR just doesn't like LED light. 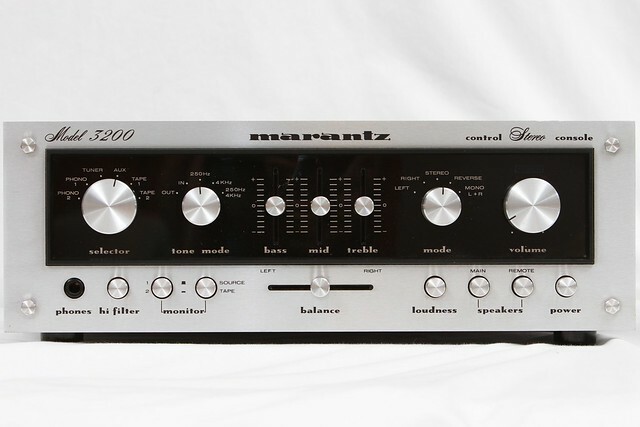 So that's the Marantz 3200 Pre-Amplifier. 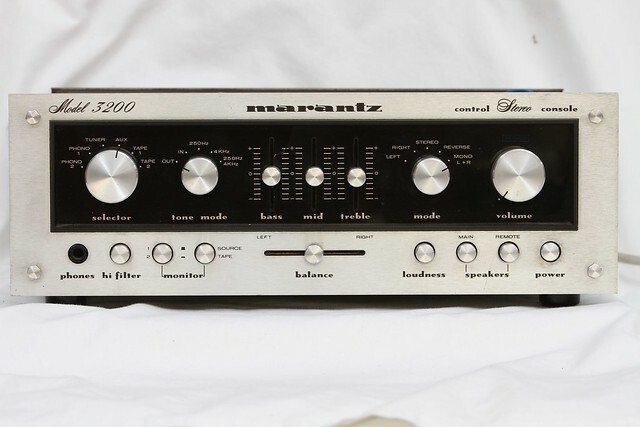 A wonderful, warm sounding unit and like what I said before, what you would expect from Marantz in the 70's. As always here are some extra modeling shots of this wonderful unit. 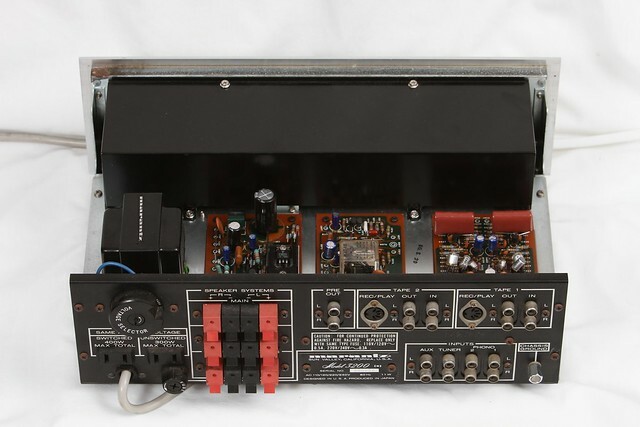 wow this amp looks GREAT!!! beautiful job! 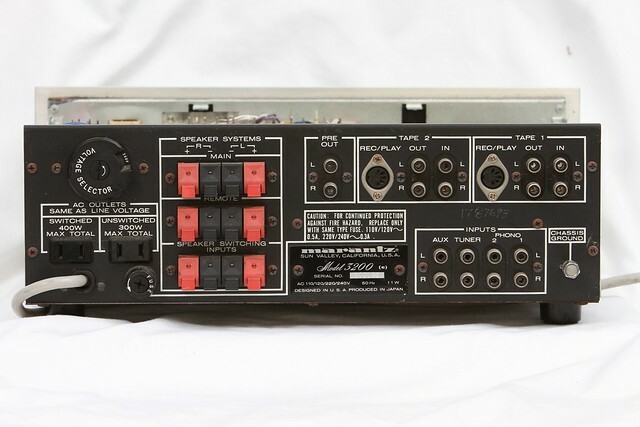 Why does it have speaker terminals if it's a preamp? Ebay listing quote. I had the same question. 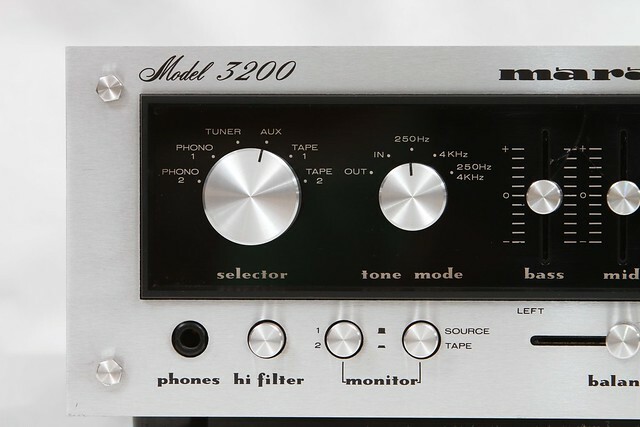 "They allow you to direct the power amplifier's output to two different pair of speakers or both. 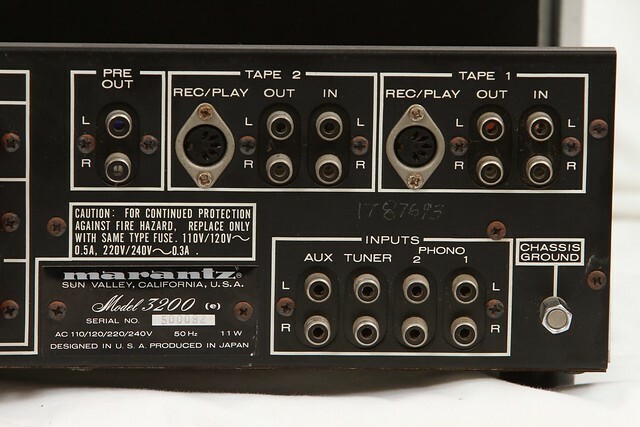 You simply wire the outputs of the amplifier to the speaker input and then wire to the speakers from the speaker output terminals on the 3200." 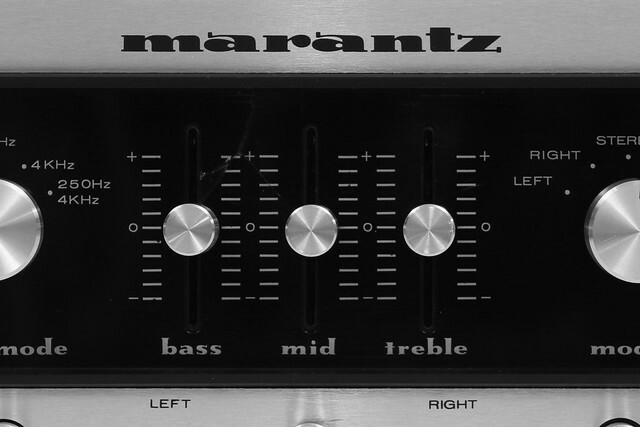 Your pictures actually appear to be sharper than my Marantz 3200 itself. It does look terrific. I scratched up the top of mine the other day in moving from old location to new one (under a heavy H/K 730). Anyway, nice to see one photographed so well. I'm curious what you used because of the great depth of filed in some of the pictures. I can be reached at goldbug70@gmail.com. 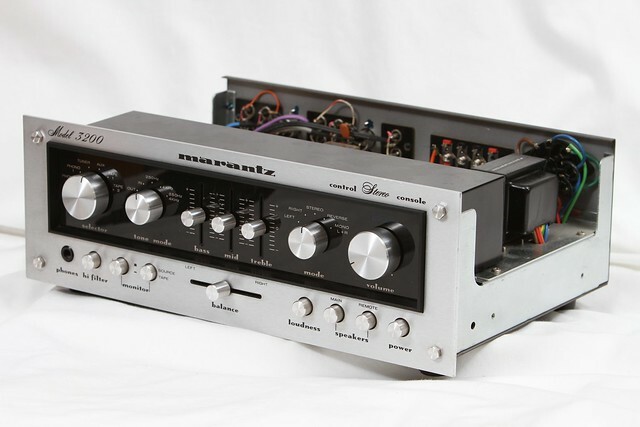 Loved this Marantz Amp. 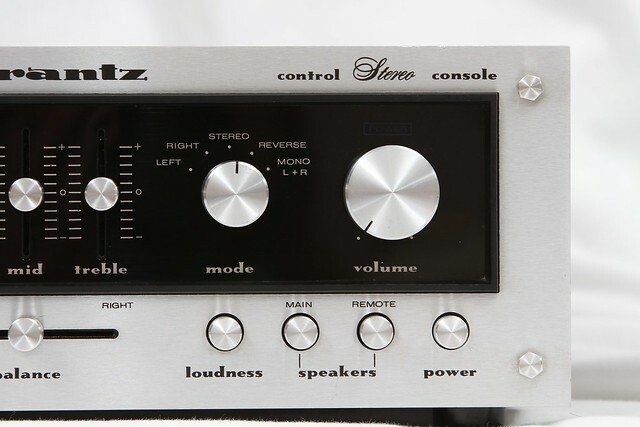 Have had this unit last year in my shop and I was very amazed about his Sound. Copyright 2012 Bonsaichop. Picture Window theme. Powered by Blogger.